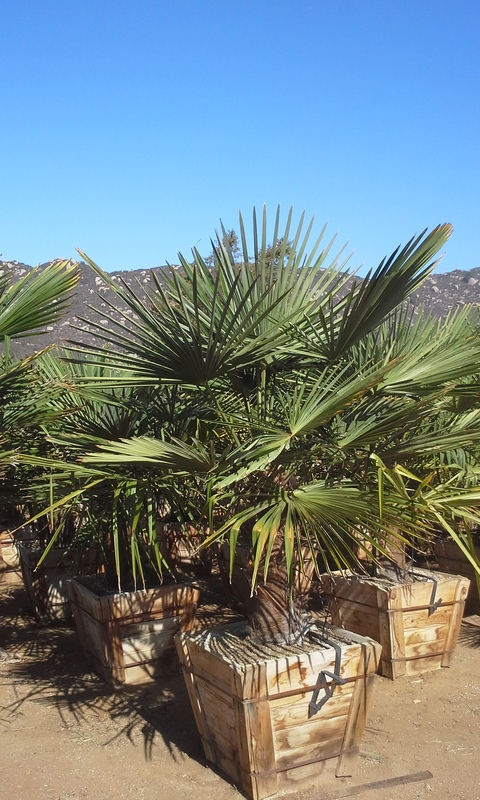 Windmill palm is one of the most cold hardy palms available; it’s also one of the most versatile. Plants can tolerate temperatures down to 10 F degrees. The beautiful compact plants produce slender, dark green fronds in the pattern of a fan. Undersides of foliage are silver, providing a nice contrast. Plants grow on a single trunk that becomes covered with coarse brown fibers. Plants are fairly slow growing and may need some supplemental water during the hottest months. Windmill palm is perfect for planting round pools, along coastal areas or even in large planters. Plants grown in full sun locations tend to be more compact while plants grown in shadier conditions grow taller. Water needs are moderate once established; plants may need some supplemental water in summer.